Laura Gouveia wrote this after attending the first of two Spring Vision Dinners in March 2019. For Laura, this ministry is more than a great cause; it is something that brings meaning to her life. The GO Fund is one way that Laura is obeying The Great Commission, it is her way to invest in eternity. Why? So that the unreached would hear the name of Jesus! 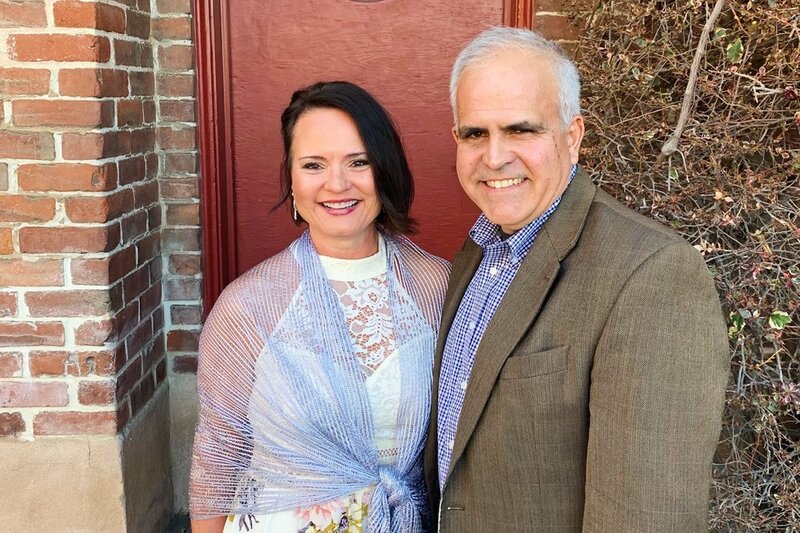 Laura and Mike Gouveia at the 2019 Spring Vision Dinner in Redlands, California. Five years ago, Claude Hickman shared a powerful metaphor at the first annual Vision Dinner. Those who go are the “arrows” and those who send are the “bows” that launch them into ministry. Founder and Executive Director, Luke Womack, reminded the 2019 guests that we still need many bows and arrows to accomplish the task of bringing the Gospel to unreached people groups. Laura and her husband Mike are two of these “bows”, and they see their role as vitally important. Founder and Executive Director, Luke Womack, addressing guests at the 2019 Spring Vision Dinner in Redlands, California. Laura and Mike see the problem and they feel the weight of the issue. However, they have found the solution: The GO Fund! The 2019 Spring Vision Dinners brought in a total of $230,092, funding 45 years of missions work! That is the solution. Champions like Laura and Mike have made it possible for missionaries to go and remain on the mission field. The burden of student debt, or as one applicant put it, “the only barrier I have right now,” is the one thing keeping most missionaries from the field. That does not have to be the case. The GO Fund exists to remove this barrier so that the gospel can be heard in every tribe, tongue and nation. The first GO Fund missionary partners, David and Emily Rimestad, shared with guests that the only reason they are on the field today is because of The GO Fund. After five years of living among the Malayali people in Papua New Guinea, David and Emily are close to fully comprehending and speaking their language and will soon begin creating a written language and Bible for the Malayali people. The gospel will soon be heard for the very first time. Champions, “bows”, have made this reality possible. Justin Pardee interviews David and Emily Rimestad at the 2019 Spring Vision Dinner in Redlands, California. At the second Spring Vision Dinner, Keynote Speaker, Brooks Buser, shared his story of his time in Papua New Guinea. While Brooks has been able to see the gospel flourish in a place that had previously never heard the name of Jesus, he reminded guests that there are still hundreds of people groups desperately asking for a missionary to come share “the talk” with them. The task is still vast, and it will take many bows and arrows to accomplish it. Keynote Speaker, Brooks Buser, addresses the guests at the 2019 Spring Vision Dinner in Santa Ana, California. Laura and Mike are just one example of the bows that are helping to launch missionary arrows onto the field, and that brings meaning to their lives. Will you join Laura and Mike in bringing meaning to your life by sending missionaries to the unreached? Click the link below and listen to The GO Fund’s Founder and Executive Director, Luke Womack, discuss student loans, why they keep missionaries off the field, and the solution to this problem on The Missions Podcast. This 42-minute episode aired on 03/18/19.